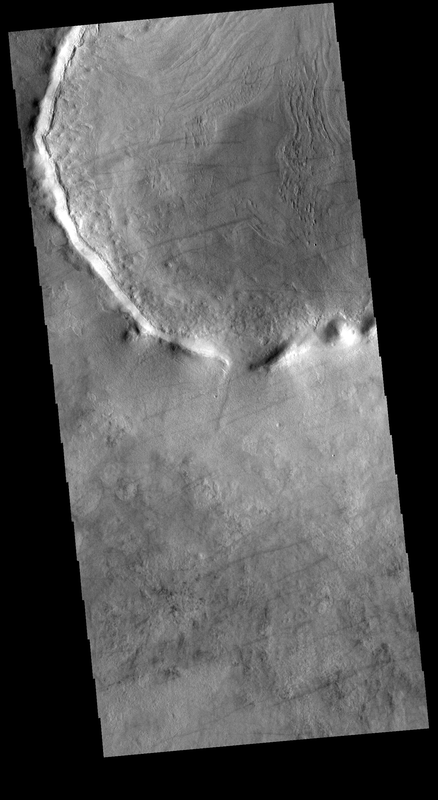 Today's VIS image shows dust devil tracks in Utopia Planitia. The tracks occur where dust devils have scoured the fine materials off the underlying surface. In some cases dust devils can create arced tracks. The ones in this image are mostly linear.